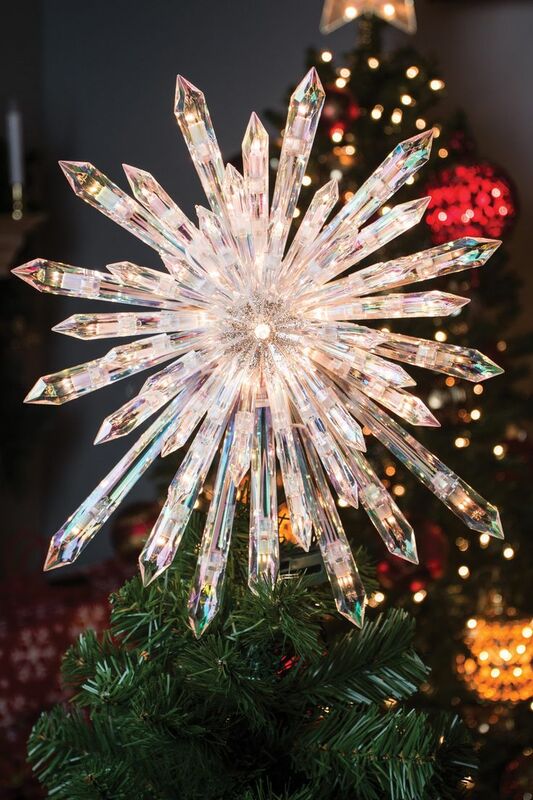 Home > Hallmark Collectibles > Tree Toppers > 2019 Crystal Tree Topper 50 LED Lights , 13.5" - it's Stunning ! Clear Bright Bulbs produce a stunning bright glow. A green post with (clothespin style) clip is included. The base of the tree topper fits into the adjustable height post and the clip attaches to the top of your real or artificial tree. 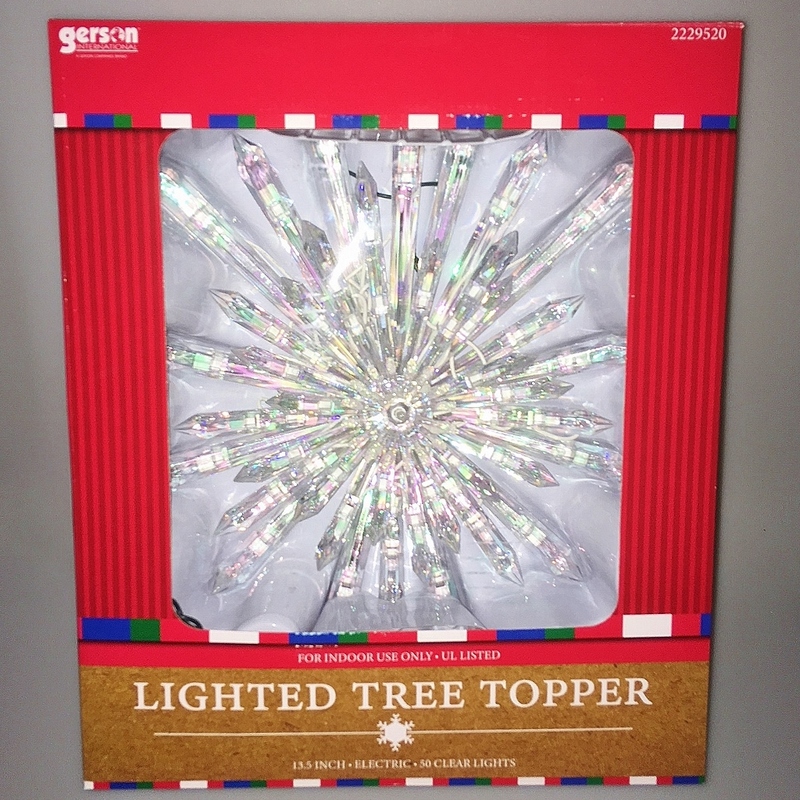 Please Note: Due to the size and weight of this tree topper, a $9.95 heavy weight shipping charge applies. This fee is not waived during shipping promotions and will be higher on International shipments.